Stay up to date on Spectrum Generations and the latest news on aging in place. For all media inquiries, please contact the Community Engagement Officer Stephanie Hanner at [email protected]org. Augusta, ME – Spectrum Generations is pleased to announce the addition of two new members to the organization’s Volunteer Board of Directors. Spectrum Generations serves older and disabled adults in Kennebec, Knox, Lincoln, Sagadahoc, Somerset, and Waldo Counties, and the towns of Brunswick and Harpswell. Among the programs offered are Meals on Wheels, health and wellness activities, Community-based Health Care, and Community Case Management. Shelley earned her degree in Social and Criminal Justice from Ashford University. In 2018, she was elected to serve in the Maine House of Representatives where she currently represents District #108; this includes the towns of Fairfield, Mercer, and Smithfield. Shelley is the current Chairman of the MSAD #49 School Board and has been a member of the Board for 11 years. She formerly served on the Fairfield Planning Board, the Central Maine CATV Board of Directors, was President of the Benton Elementary PTO, and Treasurer of the Basketball Boosters. Shelley is a member of both the Fireside Chapter and Martha Washington Chapters of the Order of Eastern Star and is owner of Shelley’s Used Cars, LLC. Shelley lives in Fairfield with her husband of 31 years and is the proud mother of two adult children. Josée L. Shelley, CPA graduated from the University of New Hampshire where she studied both Sociology and Business Administration. She has worked as the CFO for Kennebec Behavioral Health since 2003 and has served on several Boards; most recently she has been working with Bartlett Woods in Rockland Maine. Josée’s real passion is working with growing non-profits and applying her operational management skills to serving an organization’s mission rather than just for corporate profits. Josée lives in Owls Head, Maine and enjoys spending time with her adult sons and extended family. She also loves to travel off the grid and plans to work well into her seventies. March is National Intellectual and Developmental Disabilities Month, and we’re taking the opportunity to introduce you to our Case Management Team who serve these members of our communities. Spectrum Generations has 9 case managers serving 7 counties; we’re here to help you and your family navigate the many complexities of available resources. The term “intellectual and developmental disability” may refer to a broad range of characteristics or conditions. An intellectual disability is characterized by limitations in functioning and difficulties exhibited in social and practical skills. A developmental disability is attributed to a cognitive or physical impairment that results in limitations such as self-care, language, and mobility. These conditions are often misunderstood, but what should never be in doubt is that all people have the fundamental and inherent right to be respected, valued, and accepted for the contributions they make to their families, their relationships, and their communities. When we focus on monthly health topics, it gives us an opportunity to educate our communities and advocate for needed services. If you have questions or would like more information about case management from Spectrum Generations, call us at 1.800.639.1553. Healthy Living for ME – a partnership between three Area Agencies on Aging: Spectrum Generations, SeniorsPlus, and Aroostook Agency on Aging – has finalized their union as a Joint Venture, with all three organizations signing papers today at Bernstein Shur in Augusta. Healthy Living for ME currently provides a single-point of entry to a statewide network of workshops that empower adults to address and better manage their health issues. Workshops offered focus on improving balance and preventing falls, and helping adults manage chronic conditions – including high blood pressure, chronic pain, heart disease, COPD, arthritis, and diabetes. 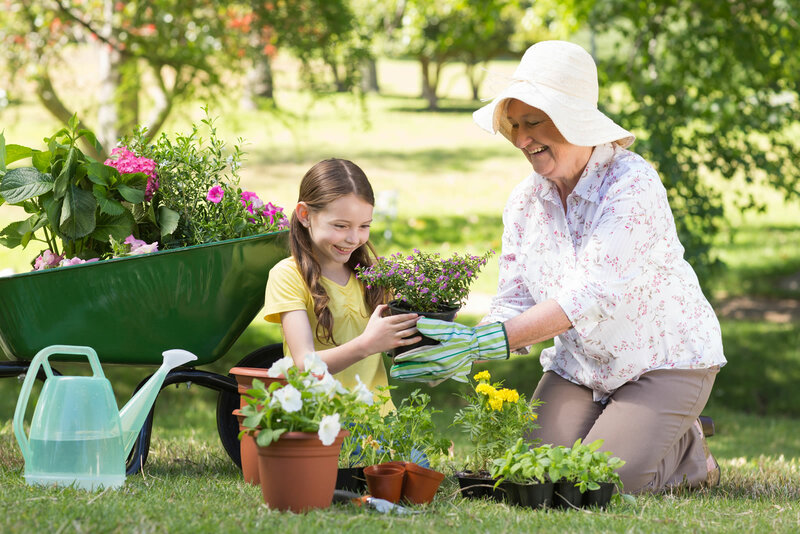 Joy Barresi-Saucier, Executive Director of Aroostook Agency on Aging explains the benefit as, "People from all areas of the state, both rural and urban, want and need access to programs that help them live longer and remain independent. Healthy Living for ME is an innovative network that, for the first time, will make the best wellness programs consistently available to all Mainers regardless of where they live." President & CEO of SeniorsPlus, Betsy Sawyer-Manter spoke about the efficacy and importance of offering such workshops, saying, "Evidenced-based programs are proven effective. These are rigorously tested to ensure that they have the intended positive impact for those completing the workshops. They are both a preventative and health improvement strategy." A full listing of workshops being offered can be found online at www.healthylivingforme.org or call 1-800-620-6036 for more information. 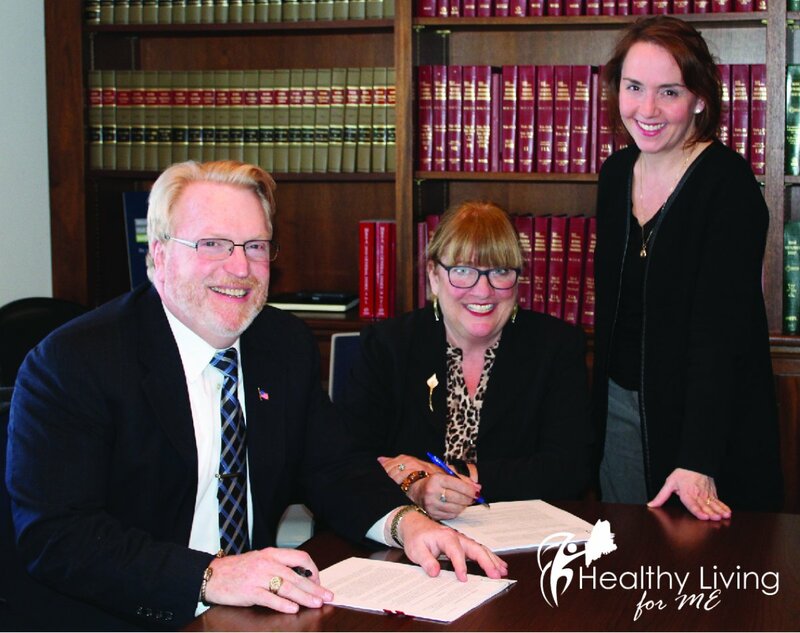 L-to-R, Spectrum Generations President & CEO Gerard Queally, SeniorsPlus President & CEO Betsy Sawyer-Manter, and Aroostook Agency on Aging Executive Director Joy Barresi-Saucier signed paperwork today establishing the joint venture Healthy Living for ME. Statewide (Maine) – Healthy Living for ME – a partnership between three Area Agencies on Aging: Spectrum Generations, Seniors Plus, and Aroostook Agency on Aging – has recently been awarded an $840,000, 3-year grant from the Administration on Community Living (ACL). Healthy Living for ME currently provides a single-point of entry to a statewide network of workshops that empower adults to address and better manage their health issues. Workshops offered focus on improving balance and preventing falls and helping adults manage chronic conditions – including high blood pressure, chronic pain, heart disease, COPD, arthritis, and diabetes. Healthy Living for ME will utilize these new grant funds over the next three years in developing, expanding, and coordinating the centralized hub for evidence-based chronic disease self-management programs including Living Well with Chronic Pain and Living Well with Diabetes. The funding of this project will also allow for the pursuit of Medicare reimbursement, for both programs, ultimately resulting in complete sustainability without additional grant support. For more information on Healthy Living for ME services available in your area, visit www.healthylivingforme.org or call 1-800-620-6036 for more information about becoming a referral partner or host site. Maine – Spectrum Generations recently completed an accessibility and mobility project, through the generous support of a $98,000 grant from the Next Generation Foundation. The funds were used to purchase two vans for the Bridges Home Services Adult Day program and touchpad door systems at two community centers in Hallowell and Belfast. Spectrum Generations purchased two vans with the funds, both offering wheelchair lift service, and modified seating arrangements so that a number of participants from the Adult Day program with varying spatial requirements can join in community outings. The vans will serve all four of the Adult Day programs offered through Bridges Home Services (a division of Spectrum Generations) at locations in Belfast, Hallowell, Skowhegan, and Waterville. They have also already been used to shuttle attendees to the Healthy Living Expo at Spectrum Generations’ Cohen Community Center to avoid crossing a busy road on foot. The funding also allowed for the installation and wiring of touchpad door systems at Spectrum Generations’ Cohen Community Center in Hallowell and Waldo Community Center in Belfast. Consumers and caregivers of the programs and visitors to centers are already echoing the praise of new additions. One Adult Day participant said, "I'm excited to have the new vans, being involved in the community is really important to me." For more information on Spectrum Generations services available in central and midcoast Maine, visit spectrumgenerations.org or call 1-800-639-1553. For information on Bridges Home Services Adult Day programs, visit bridgeshomeservices.org/services/adultdayservices. Hallowell, ME – On Friday, June 1, Spectrum Generations’ Cohen Community Center will host their annual Healthy Aging Expo, from 10:00 a.m. — 3:00 p.m.
A free event, the Healthy Aging Expo offers attendees an opportunity to meet with exhibitors (including major sponsors, Senscio Systems and Bridges Home Care), learn about different ways food can affect health, sample products, get healthy cooking tips, qualify for door prizes and get resources to meet personal goals. Be sure to stop by the Beltone booth for your free hearing test. Lunch will be catered by Cohen on the Meadows and available for a cost of $6.50 (sandwich wraps, salads, and vegetarian options). For more information call 626-7777. Spectrum Generations’ Cohen Community Center is located at 22 Town Farm Road in Hallowell.